David A. Bellman was born in New York City. He studied at the Eastman School of Music with D. Stanley Hasty, former principal clarinet of several American orchestras, including Indianapolis, and at Northwestern University with Larry Combs of the Chicago Symphony Orchestra. 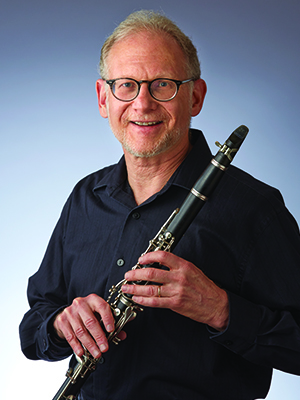 Before coming to the Indianapolis Symphony Orchestra in 1981, Bellman was principal clarinet of the Oklahoma Symphony Orchestra and played as an extra musician with the Chicago Symphony Orchestra, the Lyric Opera of Chicago and the Rochester Philharmonic. In 1984 and 1985 he also played in the Marlboro Festival. With his wife, ISO cellist Ingrid Fischer-Bellman, he is co-founder and director of the Ronen Chamber Ensemble. He is on the faculty of the University of Indianapolis and has been a soloist with the ISO numerous times. Bellman is a member of the ISO chapter of Amnesty International and enjoys bicycling, raising pet birds and collecting miniature cars. The Bellmans are the parents of one daughter.